Gov. Scott Walker: this is not a 'power shift' as he signs legislation weakening incoming Democratic governor's power in Wisconsin. Wisconsin's outgoing Republican Gov.r Scott Walker signed into law Friday legislation that weakens the authority of his incoming Democratic successor amid national consternation among Democrats, who decried the legislation as a blatant power grab that disrespects the will of the state's voters. When asked Friday whether or not the legislation, which limits the governor's power over several state agencies and prevents the state's newly elected Democratic attorney general from pulling out of a lawsuit challenging the Affordable Care Act, undermines the will of the voters that elected a Democrat, Tony Evers, to succeed him, Walker said no. "The will of the voters four years ago was to elect me to a term that ends January 7th," Walker said at a bill signing ceremony in Green Bay, "So I don't stop, just because the media treats an election as though that's the end of a term, it's not." Walker said the outrage over the legislation was nothing more than "hype and hysteria" generated by the national media, and that Evers will remain on of the strongest chief executives in the country following his decision to sign the bills into law. 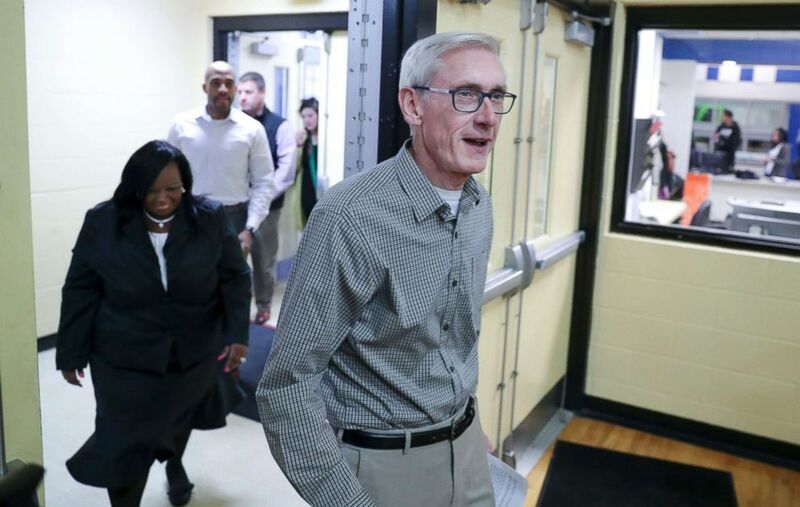 Governor-elect Tony Evers walks into a room filled with press before making a statement, and answering questions on Wednesday Nov. 7, 2018. "I will be signing each of these three bills in their entirety. We believe they fulfill the criteria that we set going forward," Walker said flanked by the Republican leaders of the Wisconsin State legislature. "The will of the voters four years ago was to elect me to a term that ends January 7th," Scott Walker says. Evers had been trying to make a personal appeal to Walker in the past week to veto the bills, but ultimately his attempts were unsuccessful. The Democrat immediately slammed Walker's decision, saying it "overrides" the will of Wisconsin voters. "Today, Governor Walker chose to ignore and override the will of the people of Wisconsin. This will no doubt be his legacy," Evers wrote in a statement released Friday, "The people demanded a change on November 6th, and they asked us to solve problems, not pick petty, political fights. The people of Wisconsin expect more from our government than what has happened in our state over the past few weeks." On Friday afternoon Evers said his team will be looking at "all options that we can to make sure that the people's will from last November 6th are taken into account." "The will of the people...was ignored. It was an opportunity to reverse the election on November 6th and I'm here to tell you that that's not going to happen," Evers said at a press conference in Madison. Democrats in the state have hinted at legal action, but none has been taken so far. Some in the state worry that the legislation sets a dangerous precedent and encourages both parties to take similar steps to curb their opponent's power in the wake of an electoral defeat. "You don’t want to bring a Nerf gun to a knife fight. If one player is violating norms and the other player says well I’m still going to behave as if they still exist, then you’re at a real disadvantage," University of Wisconsin political science professor Kenneth Mayer told ABC News in an interview, "Over time, if voters are OK with that, or in a position where they can’t respond, then you have serious questions about the meaning of democratic rule." Meanwhile, across the lake in Michigan just over an hour after Walker's decision, another outgoing Republican Governor, Rick Snyder, signed into law legislation weakening state initiatives regarding the minimum wage and paid sick leave. "I look at legislation presented to me through a policy lens – is it the right policy for the state of Michigan and Michiganders as a whole? That’s what I did with these bills and have now signed them into law," Snyder wrote in a statement Friday afternoon, "I looked at what the potential impacts and benefits of the changes would be and decided that signing these bills was the appropriate action." 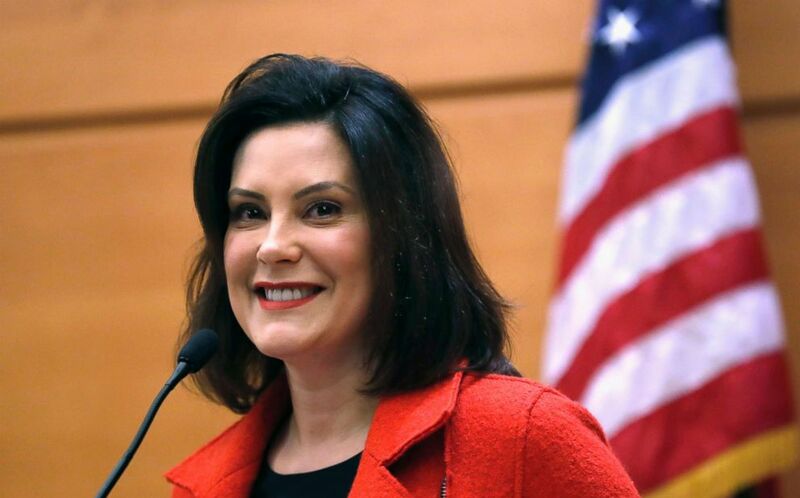 Michigan Gov.-elect Gretchen Whitmer hosts a post-election news conference in Detroit. The episodes continue to raise questions about the acceptability of partisan responses to election losses.